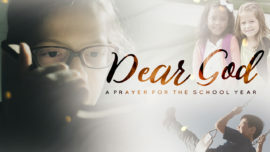 Use one of these videos to lead your church in prayer for students, parents, and teachers as they head back to school to start a new year. When we send our children out the door and into their schools, they’re beyond our reach. We have to trust that they’ll make good choices, thrive, and reflect Jesus. 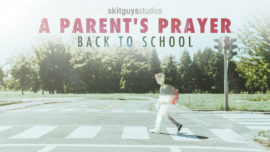 Let this mini-movie lead parents in a prayer for their kids as a new school year begins. It’s that time again! Encourage your students as they head back to school. Tommy and Eddie discuss essential supplies and make the start of a new school year a lot more fun! 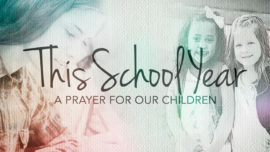 As a new school year begins, let’s take a moment to ask for God’s guidance and protection over our children. That He would give them the wisdom to make right choices and the courage to live out their faith and be the light of Christ in their schools. When we hear the words "back to school," we think about all our children will face as they step onto the school bus and into the classroom. Use this prayer to encourage parents and children as the new year begins.